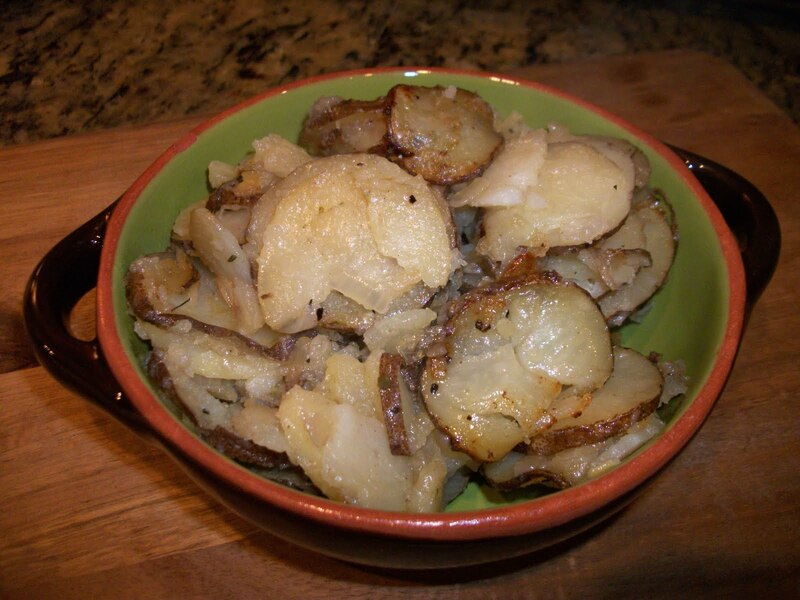 Spray a baking pan with cooking spray and toss in your sliced potatoes, diced onions, and margarine. Sprinkle 1 tablespoon of seasoning over everything and then mix it well with a spoon. Cover with foil and poke some slices with a knife to vent. Bake in a pre-heated 400 degree oven for 20 minutes, then remove from the oven, take the foil off, stir around and check for seasonings, if it needs more, add the other tablespoon, or less/more depending on your taste. Cover back up and return to the oven for another 20 minutes and then remove the foil and bake for another 5-10 minutes or until they start to slightly brown. oh YUM! you really can't beat potatoes like that, delicious!